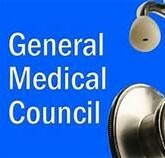 A response from the General Medical Council (GMC) to hundreds of complaints has effectively abandoned 250,000 disabled people. It also demonstrates the GMC’s contempt for the patients it’s supposed to protect. Moreover, in dismissing patient’s concerns, it’s whitewashed what one MP believes could be the “biggest medical scandal of the 21st century”. The GMC is responsible for the conduct of medical professionals registered with it. It states its aim is to “work to protect patient safety”. But after hundreds of people wrote to it as part of a coordinated complaint, these words appear completely hollow. Myalgic encephalomyelitis, or ME, is a chronic systemic neuroimmune disease. For decades (and often still to this day), the medical profession has not properly recognised it. People living with ME have been disbelieved, stigmatised, given incorrect treatment, or told it’s ‘all in their heads’. I witnessed it first hand just last week. A somewhat renowned neurologist told my chronically ill, disabled girlfriend that ME had psychological causes; “somatisation” as it’s known in the medical world. They said that psychotherapy was the best form of treatment. Their words were like a train hitting my girlfriend, who was still in floods of tears days later.